The Artisans Bottega began from humble origins as a small operation from a home work shop in the industrial parts of Preston, Victoria in 1968. During this period Melbourne saw a massive influx of European migrants arriving all eager to carry on their food and winemaking traditions. Luigi Baggio saw an opportunity to meet the market demand by producing artisan handmade grape and food processing equipment as used in his home country of Italy. The first showroom was born soon after on Victoria Street, North Melbourne. The Green Room under the Casa del Torchio banner, meaning The House of Grape Presses. The location was near the popular city Queen Victoria Market, it was a vibrant period where the grape vendors would come to sell their harvest each season to the Melbourne Home wine maker. Being one of the countries original equipment suppliers, Artisans Bottega, has witnessed many technological changes in Australia’s wine and food industry and right from the start forged strong relationships with leading Italian suppliers of food and wine making equipment. This has defined the Artisans Bottega culture and philosophy which still flows strongly today; delivering customers the best equipment at the most competitive prices. Many of these quality brands such as Fabio Leonardi SRL (our motors and attachments) and Essedue SRL (our slicers) are still distributed by us today, as these producers seek better value in durable equipment designed to perform well. The Australian winery and olive grove booms of the 1990′s saw Stefano Baggio the son of Luigi Baggio bring new energy to the leadership team. The family grew on its retail business model and developed a specialist sales team to service its growing trade clients that included commercial wineries, breweries, cider makers, training facilities and universities, plus a series of distributor/resellers involved in supplying catering equipment and home brewing supplies. In 2015 The Artisans Bottega changed to its current name from Cellar Plus, at the same time opening up the new city store in West Melbourne to much excitement from new and existing customers. 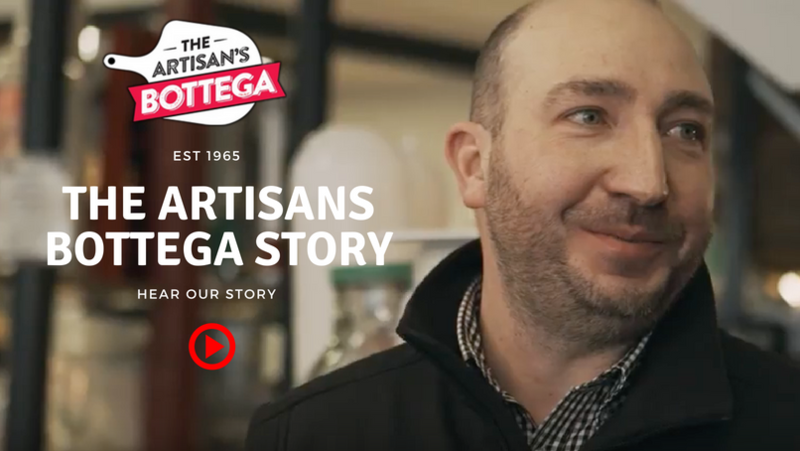 Artisans Bottega currently trades through its 2 Victorian showrooms in West Melbourne and Epping, each store represents a large range of products that are benchmarks in the industry of home food and beverage production. The sales and support team at Artisans Bottega love what we do, plus we love bringing that passion to work and sharing it with our customers who are eager to improve their craft. With your continued support, we hope to keep offering our services for many years to come. As the world supply chain rapidly moves away from artisan European producers to cheaper products and designs, we maintain our commitment to invest in quality equipment brands that last longer to satisfy you the end user.